The 37-year-old star tweeted words of support for the 25-year-old singer, who has penned an honest letter to fans for the first time since she was admitted to hospital after a suspected heroin overdose. 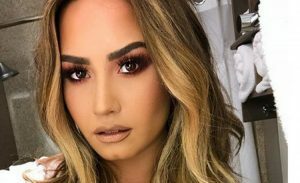 She was joined by Demi’s fans in giving her support during such a difficult time, while Shades of Blue star Jennifer Lopez was also amongst those who penned messages. Hailey Baldwin kept things simple, as she shared several heart emojis following her friend’s public statement. She wrote on Instagram: “I have always been transparent about my journey with addiction. What I’ve learned is that this illness is not something that disappears or fades with time. “It is something I must continue to overcome and have not done yet. I want to thank God for keeping me alive and well. To my fans, I am forever grateful for all of your love and support throughout this past week and beyond. “Your positive thoughts and prayers have helped me navigate through this difficult time. I now need time to heal and focus on my sobriety and road to recovery.